For as long as many of us can remember, we’ve been using salt to treat our roads and keep them safer during winter weather. However, when did we start using road salt, and how did it come to be? Read on to find out more on the history of road salt. Road salt first appeared in the United States, when New Hampshire began to experiment with granular sodium chloride in 1938. By the winter of 1941-1942, the state began using salt on local roads and highways. Eventually, other states in the country caught on and began using salt to treat their roads. Today, the United States alone uses between 10 and 20 million tons of road salt each winter. To put this into perspective, our country uses 10 times as much salt on our roads than we do in processed food. So, where does all of this rock salt come from? While different types of salt are made in different ways, most rock salt comes from underground seams of crystal salt, according to National Geographic. These crystal salt seams likely formed from the evaporation of ancient seas. To harvest the salt, miners follow underground shafts and break off slabs of the salt crystal by using dynamite or powered shoveling machines. Then, the salt is put onto a truck or conveyor belt and taken to be crushed into what we know as rock salt. There are rock salt mines all over the world, even in the United States. Believe it or not, one of the biggest mines in the country is found underneath the city of Detroit. 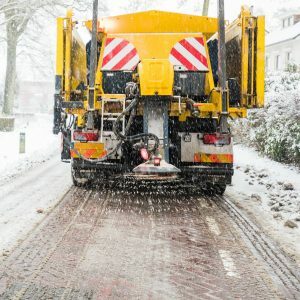 According to a study performed by Marquette University, road salt reduces car crashes by 88 percent, injuries by 85 percent, and accident costs by 85 percent. 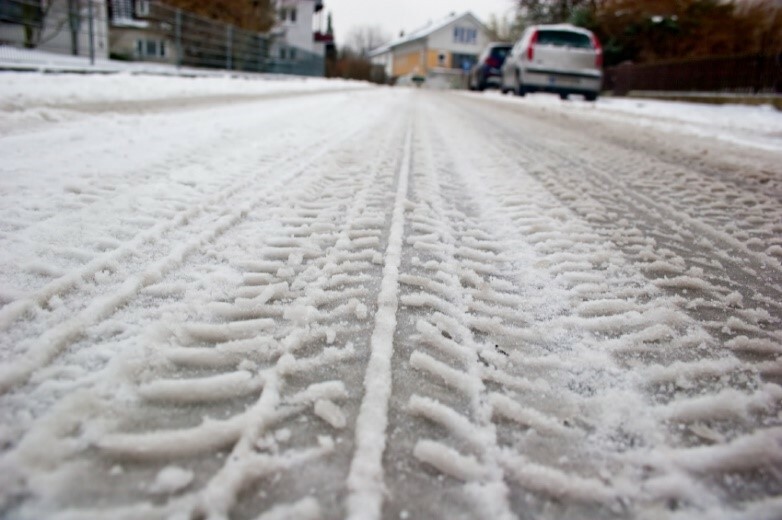 Deicing with road salt pays for itself in just 25 minutes after the salt is spread. During the first four hours after salt is applied, the direct road users’ benefits are $6.50 for every $1.00 spend on direct maintenance costs for the operation. The use of road salt reduces crashes by 93 percent on 4-lane roads and by 42 percent on smaller, 2-lane roads. Clearly, the use of road salt during winter weather quickly pays for itself, making it well worth the initial investment. If you’re in need of some road salt or ice melt products, check out what The Cope Company has to offer!